“RoboTarium #1” is an experiment and examination of the way a motorcycle crank bearing can move in slow rotation. It is cordless and is battery powered. 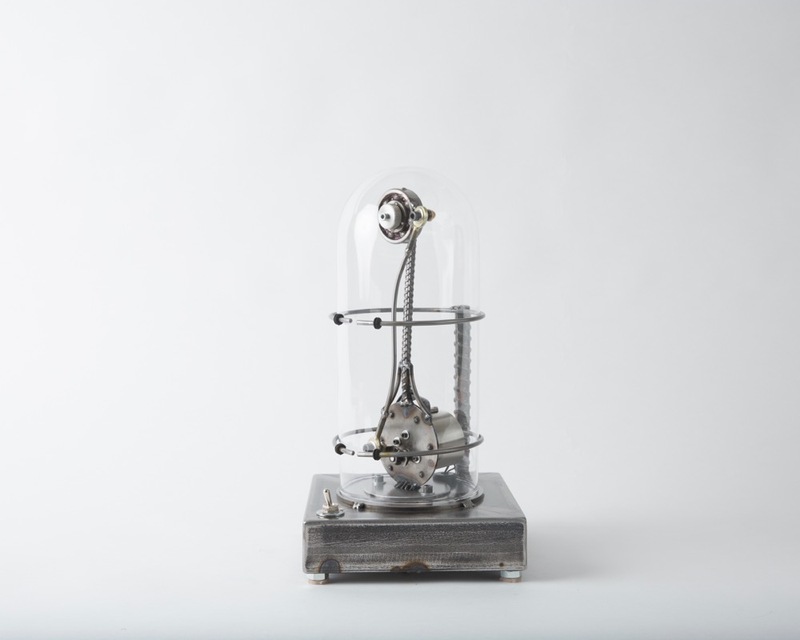 It is made of a salvaged motorcycle bearing, tie rod ends, rebar, steel, DC electric geared motor, 2 D batteries, and glass globe..